It’s a fine line that separates premium automakers from luxury ones. 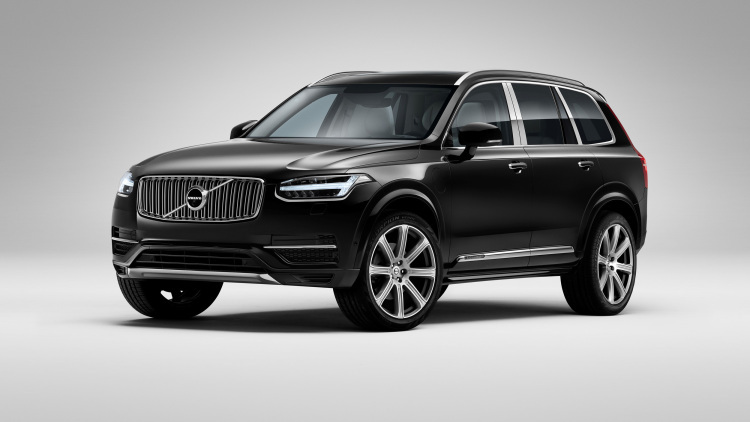 Volvo is stepping into the pampering big leagues with the arrival of the new XC90 Excellence. Showcased in North America for the first time at the New York Auto Show last week, the Swedish automaker revealed that the ne plus ultra version of its flagship crossover will carry a swollen sticker price of $105,895 (including delivery). That represents a massive premium of over $60k above the XC90’s $44,945 base price, or $36,800 over the T8 Twin-Engine model ($69,095) with which the Excellence shares its 400-horsepower plug-in hybridpowertrain. Though the same engine has yet to be priced in sedan form, pricing concurrently announced for the new S90 tops out at $53,945, or a little more than half the MSRP on the XC90 Excellence. By our account, that makes this far and away the most expensive model we’ve ever seen rolling out of the factory in Gothenburg, and one of the more expensive sport-utes on the market. To spend that kind of cash on an SUV elsewhere, you’d have to look towards a Porsche Cayenne, Range Rover, or Mercedes G-Class – or one of the new exotic crossovers coming from the likes of Bentley, Lamborghini, or Maserati. For all that extra scratch, buyers will get a top-of-the-line crossover decked out with all the proverbial bells and whistles – and then some. First revealed almost a year ago at the Shanghai Motor Show, the Excellence jettisons the second and third row of seats and replaces them with recliners offering massage, ventilation, added legroom, and a center console complete with folding tables, bottle refrigerator and crystal champagne flutes. It has Nappa leather, open-pore wood, and twenty Bowers & Wilkins speakers embedded throughout the First Class cabin. In as vivid a sign as we’ve seen yet of parent company Geely’s influence, the vehicle was clearly designed principally for the Chinese market. But the Swedish automaker will offer a limited number in the United States, with deliveries beginning this summer.